For over forty years, Willie Morris faced head-on the controversial issues of his generation. As the brazen young editor of the Daily Texan at the University of Texas in Austin, he quickly incurred the wrath of the institution's Board of Regents for his blistering attacks on segregation and censorship. While at the helm of the widely read Texas Observer, he courageously reported events that the mainstream press seldom bothered to cover, such as unsanitary and hazardous conditions in nursing homes, illiteracy, the social ineffectiveness of the death penalty, racial discrimination, and the political shenanigans of Texas legislators. As the youngest editor-in-chief in the history of Harper's, Morris aggressively transformed the stodgy, patriarchal magazine into one of the country's most exciting and influential periodicals. I have no alternative to words, Morris occasionally replied when asked about his far-reaching career. And driven by social conscience, he continued to speak out on matters that concerned him after he resigned his editor's position and left New York City, at various times writing with outrage, with humor, with sadness, and with affection  but always with passion and candor. And he began doing so at an early age. William Weaks Morris, a sixth-generation Mississippian, was born on November 29, 1934, in the state capital of Jackson. When he was six months old his parents moved to Yazoo City, a small town located, as he writes in North Toward Home, on the edge of the delta, straddling that memorable divide where the hills end and the flat land begins. His family members were all storytellers, and he grew up in the tradition of recounting tales and handing them down from one generation to the next. After he graduated from high school in 1952 as valedictorian of his class, he left the familiar Mississippi Delta for the University of Texas in Austin, where he became editor of the student newspaper, the Daily Texan, in his senior year. Immersing himself in journalism and books and reading in a great undigested fury, he became editor his senior year. He soon incurred the wrath of the university's Board of Regents for his scathing attacks on segregation and censorship, and especially on the governor and other legislators for their collusion with the twin deities  the oil and gas interests that ran the state. A student editor in Texas could blaspheme the Holy Spirit and the Apostle Paul, Morris wryly commented a decade later, but irreverence stopped at the well-head. Refusing either to resign or to alter his blistering editorials, the outspoken Morris eventually, if perhaps begrudgingly, earned the respect of University officials, politicians, faculty, and students. A member of Phi Beta Kappa when he graduated in 1956, Morris continued his education as a Rhodes Scholar, studying history at Oxford University. When he returned to the United States, he edited the crusading Texas Observer, a liberal weekly newspaper, from 1960 to 1962. In 1963 Morris became associate editor of Harper's magazine and editor-in-chief in 1967, shortly before the publication of North Toward Home. Throughout this autobiography in mid-passage, the Southern expatriate reflects on how numerous members of his generation  Mississippians who reached maturity in the early 1950s  have felt alienated from Mississippi but love their state and are still drawn to it. The feelings are very complicated, Morris told a magazine interviewer a year after the book's publication, but the older I am the more [the South] means to me, the closer the ties. Throughout North Toward Home he struggles to understand his regional identity as he challenges the various social and cultural forces that characterized the nation from the 1940s through the 1960s. Morris's desire to create a relevant magazine with a truly national focus, one that would reflect the issues of the times and the diversity of the country, spurred him to hire young but already well-established writers as contributing editors. These included Larry L. King, Marshall Frady, John Corry, and Pulitzer Prize-winner David Halberstam. As King recalled years later, these were energizing, animated years: You could hardly pick up the news mags or the newspapers or turn on a talk show without everyone saying what great things were happening at Harper's. Such success notwithstanding, the magazine's editor eventually became embroiled in editorial disputes with the publication's owner and resigned in 1971 (a move that prompted the resignations of most of the magazine's chief contributing editors). Morris's departure followed on the heels of a painful divorce, and he withdrew to Bridgehampton, New York, a small town on the east end of Long Island. A few months after leaving New York City, he published Yazoo: Integration in a Deep-Southern Town (1971), a moving exploration of how the forced integration of the public schools affected this Deep-Southern town on the edge of the Mississippi Delta. Subsequent books include the children's classic Good Old Boy (1971), a celebration of Morris's youth complete with boyish misadventures and a daring rescue in a haunted house; Book-of-the-Month Club selection The Last of the Southern Girls (1973), a novel of a southern debutante who comes to Washington, D.C.; and James Jones: A Friendship (1978), a warm reminiscence about his longtime comrade and fellow author. In 1980 Morris returned to his native state as writer-in-residence at the University of Mississippi in Oxford and wrote The Courting of Marcus Dupree (1983). In this alternate selection of the Literary Guild, the author skillfully combines sports reporting, historical analysis, and biography as he recounts the madness surrounding the college recruitment of a talented southern black athlete. Morris told an interviewer in 1979 that if there is anything that makes southerners distinctive from the main body of Americans, it is a certain burden of memory and a burden of history.... I think sensitive southerners have this in their bones, this profound awareness of the past. Morris's rich heritage is particularly evident in his books of essays, revealing him as a master stylist in this genre. 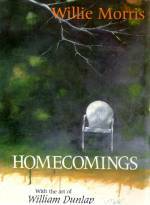 Homecomings (1989), with its original artwork, in particular illustrates his precision and eloquence in crafting short works of fiction and nonfiction. His narrative My Own Private Album: The Burden and Resonance of My Memory introduces A Southern Album (1975). His cover story in the March 1989 issue of National Geographic, Faulkner's Mississippi, with photographs by William Eggleston, forms the core of the coffee-table book that appeared a year later under the same title. A Prayer for the Opening of the Little League Season (1995) is Morris's poetic tribute to children's baseball, with watercolor illustrations by prize-winning artist Barry Moser. In 1990 Morris married long-time friend JoAnne Prichard, an astute, imaginative editor at the University Press of Mississippi who had worked with him on Homecomings, his award-winning essay collection. After their marriage, they moved to Jackson, Mississippi, where he began poring over Harper's papers and writing old comrades for reminiscences in preparation for a second autobiographical volume, New York Days (1993). In this triumphant sequel to North Toward Home he reflects not only on his exhilarating years at Harper's but also on how that period mirrored the tumultuous 1960s. He followed this Book-of-the-Month Club selection with another, the widely reviewed bestseller My Dog Skip (1995), which is not only a poignant, bittersweet tribute to the canine companion of his boyhood but also a memoir of a bygone era as well. In his next book Morris once again effectively juxtaposes and intertwines history with autobiography. Subtitled A Tale of Race, Murder, Mississippi, and Hollywood, The Ghosts of Medgar Evers (1998) is in large part an odyssey back to the racist past of Mississippi, particularly June 1963 when thirty-seven-year-old civil rights activist Medgar Evers was shot in the back and killed in front of his wife and children at their home in Jackson. White supremacist and Ku Klux Klan member Byron De La Beckwith was charged with the murder, but despite such overwhelming evidence as eyewitnesses and his thumbprint on the murder rifle, he was freed after the all white juries in two trials deadlocked. Murder, however, has no statute of limitations. When the Hinds County, Mississippi, white assistant district attorney, Bobby DeLaughter, reopened the case in 1990, Beckwith was prosecuted once more and convicted four years later. Morris covered the third trial for the magazine New Choices for Retirement Living (Justice, Justice at Last, June 1994) and was spellbound by its proceedings. Impressed by the historical significance of the event and fascinated with the intricate story of how DeLaughter, Evers's wife Myrlie, and others relentlessly pushed for justice, Morris convinced a longtime friend, movie producer Fred Zollo (Quiz Show, The Paper), that he should make a motion picture based on the murder case. Zollo agreed and secured Rob Reiner (Stand by Me, When Harry Met Sally, A Few Good Men) to direct the film. Morris served as a historical consultant for this production, Ghosts of Mississippi. (Sharp-eyed moviegoers, in fact, can catch a glimpse of the author's North Toward Home as Peggy DeLaughter, the wife of Beckwith's prosecutor, reads it in bed.) The motion picture went on to lose millions at the box office; moreover, it was pilloried by reviewers who believed that the film should have focused not on the district attorney and the trial of Byron De La Beckwith, but instead on the saga of the courageous civil rights activist whom Beckwith murdered. In The Ghosts of Medgar Evers, Morris travels back to the beloved Delta of his boyhood to chronicle the remarkable story of this NAACP leader. Tempering nostalgia with harsh reality, he retraces both his and Evers's lives as scions of two vastly different Mississippis, while simultaneously detailing the history of the movie and his own experiences as a consultant. As Morris lyrically blends the past and present, he combines an insider's view of Hollywood filmmaking with his characteristic eloquence and soul-searching about the South and racial healing. Morris clearly enjoyed his behind-the-scenes role in a major motion picture, and he was pleased when Hollywood beckoned again a couple of years later. After film director Jay Russell turned the last page of the author's My Dog Skip, he admitted that I first had to dry my eyes from crying and the second thing I did was call Willie Morris to inquire whether the rights were available. Russell had already worked with Morris on the PBS documentary Highway 61 Revisited, the first of a five-part PBS series on famous American highways titled Great Drives. Soon he secured not only the necessary permission from the author but also the assistance of screenwriter/filmmaker John Lee Hancock, screenwriter Gail Gilchriest, and Academy Award-winning producer Mark Johnson. A relatively new production company, Alcon Entertainment, began filming in 1998. Although Yazoo City had changed so much over the years that much of the motion picture was filmed in less-developed Canton, Mississippi, Morris was pleased with the results and found shooting to be especially poignant. It was déjà vu of the most stunning kind, he remarked on several occasions, to see actors and actresses playing him, his parents, and his childhood friends. Film veterans Kevin Bacon (Apollo 13, A Few Good Men, Footloose) and Diane Lane (Lonesome Dove, Judge Dredd, The Outsiders) starred as his mother and father, while Frankie Muniz  who a year later would be featured in the television program Malcolm in the Middle  played young Willie. More than a half dozen Jack Russell terriers were used in the title role, one of which was the well-known Eddie on the NBC sitcom Frasier. Willie Morris himself also reveled in the film, though he did not see its final version. At the end of July 1999, he and his wife JoAnne flew to New York to view a preliminary screening, which he called an absolute classic. On August second, just several days after they returned home, he suffered a heart attack and died a few hours later. Lengthy obituaries across the country praised Morris's works and literary accomplishments, as well as his generosity of spirit and affection for the South. 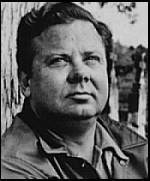 As broadcast journalist and author Bill Moyers prophetically remarked in the mid-1980s: In the end it will be the quality of his life that is the real contribution Willie ... made to our times. Morris became the first writer in Mississippi history and only the third person in the twentieth century to lie in state in the Rotunda of the Old Capitol in Jackson. (The other two were former Governor James P. Coleman, who died in 1991, and former U.S. Senator John C. Stennis, who died in 1995.) Morris is buried in Yazoo City's Glenwood Cemetery, just thirteen paces from the grave of the Witch of Yazoo, a legendary character immortalized in Good Old Boy. Works both by and about Willie Morris have appeared since his untimely death at age sixty-four. The University Press of Mississippi, which had published his Homecomings and After All, It's Only a Game, brought out a new cloth edition of North Toward Home on the 65th anniversary of his birth (November 29, 1999). It also compiled Remembering Willie (2000), a collection of twenty-seven eulogies and tributes that includes remarks by U.S. President Bill Clinton and authors Rick Bragg, David Halberstam, and William Styron. Jack Bales's Conversations with Willie Morris (2000), again by the University Press of Mississippi, features twenty-five incisive profiles and interviews, some never before published. Morris's longtime friend and Harper's colleague Larry L. King wrote the heartfelt The Book on Willie Morris for the May 2001 issue of Texas Monthly. Readers who knew the author well have praised the candid yet affectionate profile as the most honest piece ever written about Willie Morris. King, a successful writer of novels, essays, children's books, and plays (including The Best Little Whorehouse in Texas), is now working on the biography In Search of Willie Morris. Written over much of his thirty-year literary career, Taps captures the ideas and beliefs that touched (no, consumed) him all his life: loyalty to family and friends, the importance of the past, the allegiance to a place and the power of land, the unquestioning love of a dog, the glory and disappointment of sports, the meanness and tragedy of racial injustices, and the fragility of human life. He began writing it even before he published his classic North Toward Home in 1967 while editor of Harper's magazine. He worked on the novel sporadically while living in New York, but in the 1980s, after he returned to Mississippi, he completed a solid working draft. In this coming-of-age story, sixteen-year-old Swayze Barksdale plays patriotic marching songs on his trumpet as the town's young men leave Fisk's Landing for service in Korea. When some are killed fighting overseas and return home in coffins, Swayze and his best friend Arch Kidd play Taps at their funerals. With each funeral, Swayze grows more mature as he, his girlfriend Georgia, Arch, and their other friends learn worldly lessons about love, sacrifice, patriotism, and grief. You can find out more about Willie Morris's boyhood home at the Yazoo County Convention and Visitors Bureau web site. In 1967 Morris became the youngest ever editor-in-chief at Harper's, the nation's oldest magazine. A 1988 film adaptation of Morris's Good Old Boy: A Delta Boyhood was re-released on video in 1994 as The River Pirates. Homecomings, a collection of essays which features the art of William Dunlap, was published by the University Press of Mississippi in 1989. 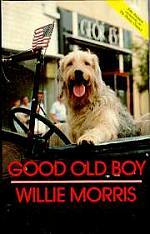 Several of Morris's books, including Good Old Boy (1971), have been re-issued by the Mississippi-based Yoknapatawpha Press. Morris's 1995 book A Prayer for the Opening of the Little League Season, a tribute to children's baseball, features illustrations by artist Barry Moser. This page has been accessed 25350 times. About this page counter.